The Questar III Fixed Asset Inventory & Appraisal Service has teamed up with AssetWorks to provide school districts and BOCES across New York State with a detailed, complete, and reliable perpetual inventory system. Since its inception in the 2007-2008 fiscal year, Questar III BOCES has serviced more than 50 districts and BOCES with a complete physical inventory including building appraisals, an annual re-inventory, and a thorough and user-friendly web-based inventory software system. This service provides districts with the tools needed to follow the guidelines and regulations of GASB 34. It also assists with meeting audit requirements. It is easy to get started. 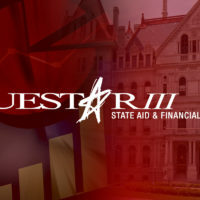 Simply fill out the Questar III questionnaire with your district or BOCES information and return it to Helena Maguffin. A proposal with a price quote will be presented in a matter of days.